"American Idol" returns for new season: Will it be a hit? 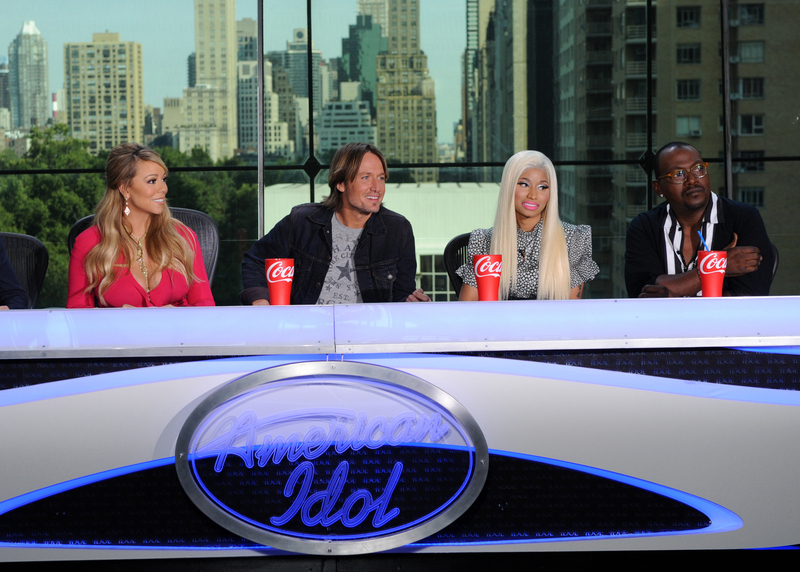 When "American Idol" returns this week for Season 12, it will have a new look with a series of judges. The veteran TV reality competition gets under way Wednesday on Fox with a two-hour premiere starting at 8 p.m. ET, followed by a one-hour episode on Thursday. Longtime series host Ryan Seacrest told NBC's "Today" show on Wednesday that both the judges and the contestants will be making headlines this season. But will the changes be a hit with viewers? Last year, "Idol" lost its status as the most-watched TV program for the first time since 2003, eclipsed by NBC's "Sunday Night Football," and pegged its lowest-rated season since it debuted in summer 2002. But the series faces a $36 million-plus question: Will that combined paycheck lavished on new superstar judges Mariah Carey, Nicki Minaj and Keith Urban pay off in ratings? Add in mainstay Randy Jackson's share (in the reported single-digit millions) and that's a platinum-plated group. But it's potentially money well spent for a show that, en route to living up to its title of finding new pop stars, has to keep viewers firmly engaged. Carey and Minaj already are demonstrating their potential. Their feud, whether real or fabricated, has produced such head-shaking, headline-making moments as Carey alleging that Minaj threatened to shoot her after a taping. The rapper responded with dismissive tweets. And Carey has said she hired extra security after hearing Minaj's threats. Seacrest told "Today" that Minaj and Carey's feud is real, adding, "It's not manufactured. These are two very, very spirited, strong individual performers who've had a lot of success that aren't shy about their opinion regardless of what they may be about." "I didn't expect to cry on 'American Idol.' I always said, 'Why do they (judges) cry on those shows? That's so stupid. Get a life.' But now I take that back," Minaj said. "When you're looking into someone's eyes and they gave their all and you know their journey ends here, it's a tough pill to swallow.